The Holy Spirit doesn't just empower us now. He is our guarantee (2 Corinthians 1:22; 5:5) and our assurance that we will see God face to face (1 John 3:1-2) and share in his glory (Colossians 3:1-4). He is alive in us and promises us life that never will end. 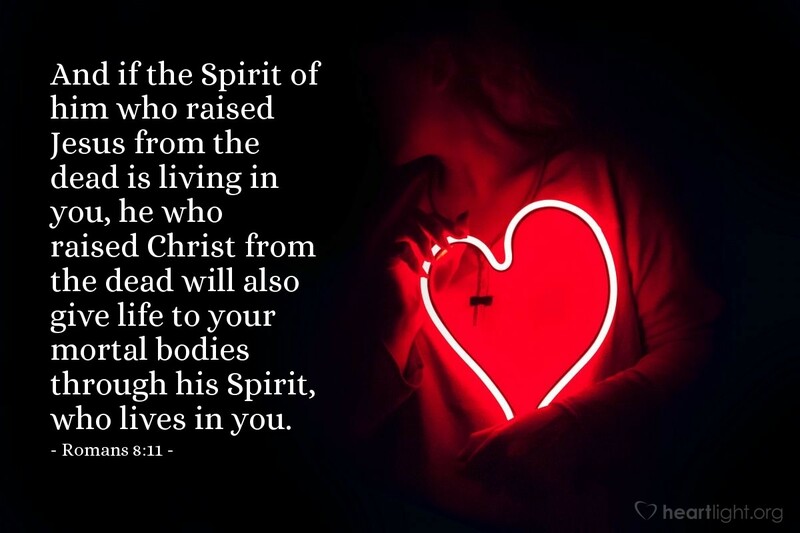 O God and Father of all nations and races, thank you for your guarantee that you will work in my life through the Holy Spirit and raise me up by your Spirit's power to join you in your presence. In Jesus' name I pray. Amen.